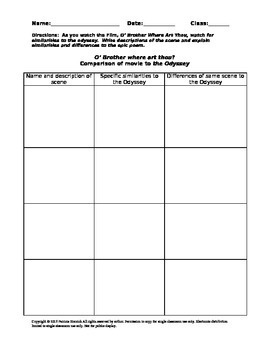 This graphic organizer and writing assignment helps students to compare the film O'Brother Where Art Thou? to The Odyssey. I've actually used it as a final assessment before. 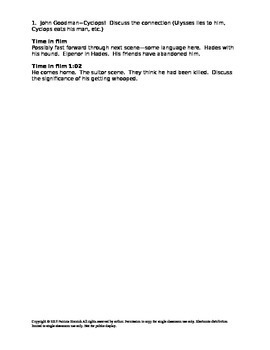 The students love the film, and I've included teacher notes with times in the film to stop and discuss. 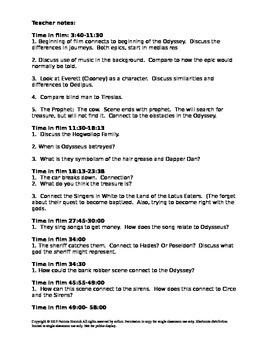 After they fill out a chart comparing and contrasting the film to the epic poem, they are then instructed to write an essay connecting the two. 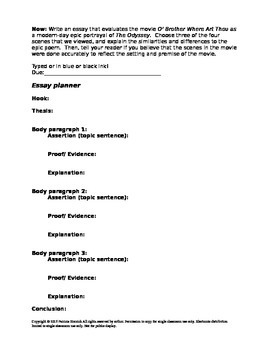 I've included a prewriting organizer for students to plan out their essay. As always, it is an editable file so you can adapt it for your classroom!